C-Ink offers a reliable and headache-free process for your company's direct mail projects. Whether your direct mail project requires drop shipping, commingling, or international delivery, C-ink is a one-stop supplier for cost-effective, efficient mailing services. By analyzing the data in the delivery and address files, we can determine if the best option is to drop ship your mail directly from a centralized mailing facility or to commingle it with other outgoing mail. 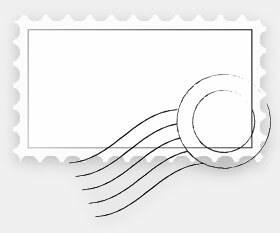 Our goal is to achieve postal discounts based on the most cost-effective option. C-Ink offers a variety of services including list design, data entry, cass certification, ink jetting, stamping, sorting and more. Excellent mailing services are available to all business sizes, ranging from small to large, local to international. Numbering, personalization, coding, addressing for all types of mail and deliveries. C-Ink will leverage its knowledge of foreign postal regulations and partnerships with USPS consolidation programs and foreign postal administrations to maintain your international mail's delivery schedule. Commingling your domestic mail with thousands of other pieces can significantly reduce postage costs. For drop shipping, we use the brand name carriers you know and trust and who offer guaranteed deliveries. Whether your project requires truckload, expedited, or consolidated shipping, C-Ink has a reliable network to move your mail easily and cost-effectively.